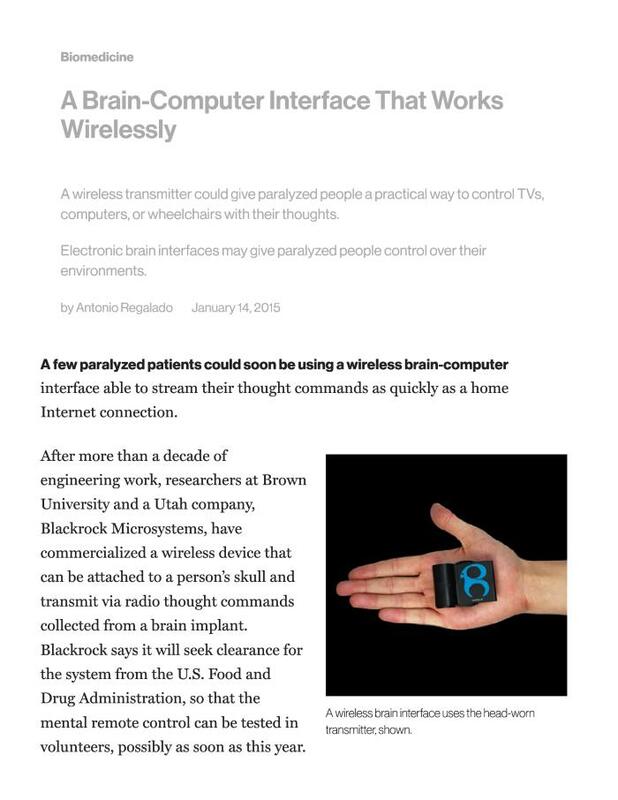 A wireless transmitter could give paralyzed people a practical way to control TVs, computers, or wheelchairs with their thoughts. Electronic brain interfaces may give paralyzed people control over their environments. A few paralyzed patients could soon be using a wireless brain-computer interface able to stream their thought commands as quickly as a home Internet connection. After more than a decade of engineering work, researchers at Brown University and a Utah company, Blackrock Microsystems, have commercialized a wireless device that can be attached to a person’s skull and transmit via radio thought commands collected from a brain implant.